If you need to gain confidence or to progress at your own pace, the ESF Porte Puy Morens offers tailor-made lessons. These are entirely individualized private classes. Alone or with your family and friends you will appreciate the advice and experience of our instructors in order to confidently enjoy the pleasures of sliding. 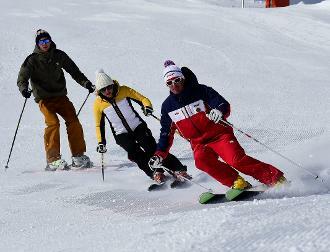 Lessons available throughout the ski season. Days and schedule on demand. visiting our ski area, cross-country skiing, off-piste skiing, etc. Prices - "engagement"2 persons maximum!